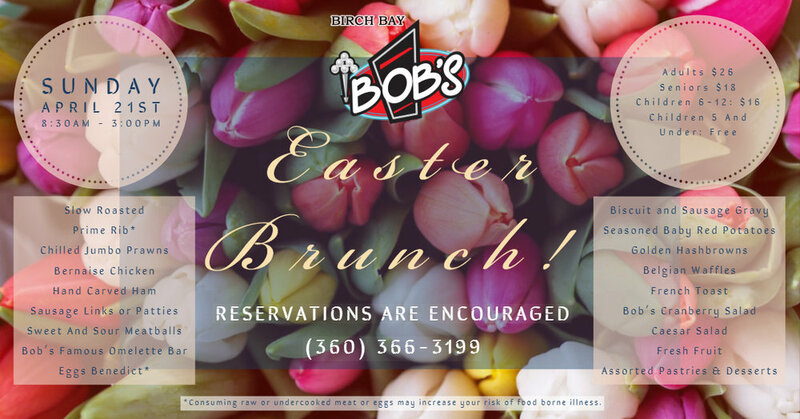 For Bob’s Birch Bay Easter Brunch! Large group? Small group? Our Easter brunch seating can easily accommodate either! Just give us a quick call and we'll be glad to get you all set up! Our pleasure to have you with us!